Dr Nadin Beckmann is Associate Professor at the School of Education, Durham University. In her research Nadin adopts a dynamic view on psychological constructs, such as ability and personality. A dynamic view builds upon the premise of change and malleability, which can be understood in terms of responses to interventions (feedback and training) as well as development and maturation. Her current research projects focus on the dynamic, process-oriented approaches to personality in the context of adult learning and development. A related Research Topic that Nadin has edited can be found here (http://journal.frontiersin.org/researchtopic/3551). 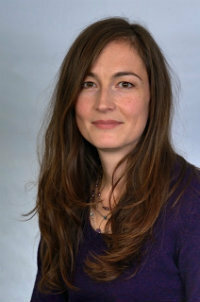 She is also currently co-editing a Special Issue for Personality and Individual Differences which can be found here (http://www.journals.elsevier.com/personality-and-individual-differences/call-for-papers/dynamic-personality). Other research interests include learning with simulations, assessment and feedback processing. Nadin has received her doctoral degree (Dr. rer. nat.) from the Institute of Experimental Psychology at Heinrich-Heine-University of Duesseldorf, Germany, and is an Alumna of the German National Academic Foundation (Studienstiftung des deutschen Volkes, http://www.studienstiftung.de). Prior to her position at the School of Education Nadin has held an Australian Research Council Postdoctoral Research Fellowship at the Accelerated Learning Laboratory at the University of New South Wales (UNSW) in Sydney, Australia. She has also worked in research positions at the Center for the Psychology of Abilities, Competencies, and Expertise (PACE Center), Yale University, USA, and the Institute of Differential Psychology and Psychological Assessment at Leipzig University, Germany. The project aims to test a model of adaptive personality, to cross-validate the model in Italy, China and the United Kingdom, and to develop and test a model for the modification and development of adaptive personality factors that enhance adaptive performance. Adaptive tasks differ from routine tasks in degrees of novelty, difficulty and uncertainty which require higher levels and different types of cognitive processing. Individuals who adapt their focus, emotions and exploratory activities in response to the changing cognitive demands of tasks are expected to outperform those with less adaptive personalities. Those with more adaptive personalities are expected to perform better on problem solving, learning, innovation and development activities. Nadin welcomes postgraduate research supervision proposals in the areas of personality and individual differences, adult learning and performance, change and malleability, simulation-based learning, psychometric assessment, learning in the early years and educational psychology. Rauthmann, J., Beckmann, N., Noftle, E. & Sherman, E. A. (2019). Personality Dynamics: A new frontier in personality psychology, Editorial. Personality and Individual Differences 136: 1. Wood, R.E., Beckmann, N., Birney, D.P., Beckmann, J.F., Minbashian, A. & Chau, R. (2019). Situation contingent units of personality at work. Personality and Individual Differences 136: 113-121. Minbashian, A., Beckmann, N. & Wood, R.E. (2018). Emotional intelligence and individual differences in affective processes underlying task-contingent conscientiousness. Journal of Organizational Behavior 39(9): 1182-1196. Birney, D.P., Beckmann, J.F., Beckmann, N., Double, K.S. & Whittingham, K. (2018). Moderators of learning and performance trajectories in microworld simulations: Too soon to give up on intellect!?. Intelligence 68: 128-140. Zhang, J., Beckmann, N. & Beckmann, J.F. (2018). To talk or not to talk: A review of situational antecedents of willingness to communicate in the second language classroom. System. An International Journal of Educational Technology and Applied Linguistics 72: 226-239. Birney, D.P., Beckmann, J.F., Beckmann, N. & Double, K. (2017). Beyond the Intellect: Complexity and learning trajectories in Raven’s Progressive Matrices depend on self-regulatory processes and conative dispositions. Intelligence 61: 63-77. Beckmann, N. & Wood, R.E. (2017). Editorial: Dynamic personality science: Integrating between-person stability and within-person change. Frontiers in Psychology 8: 1486.
Cooper, D., Higgins, S. & Beckmann, N. (2017). Online instructional videos as a complimentary method of teaching practical rehabilitation skills for groups and individuals. Journal of Educational Technology Systems 45(4): 546-560. Cripps, E., Wood, R.E., Beckmann, N., Lau, J., Beckmann, J.F. & Cripps, S.A. (2016). Bayesian Analysis of Individual Level Personality Dynamics. Frontiers in Psychology 7: 1065. Beckmann, N., Beckmann, J.F., Birney, D. P. & Wood, R. E. (2015). A problem shared is learning doubled: Deliberative processing in dyads improves learning in complex dynamic decision-making tasks. Computers in Human Behaviour 48: 654-662. Beckmann, N., Beckmann, J.F., Minbashian, A. & Birney, D. P. (2013). In the heat of the moment: On the effect of state neuroticism on task performance. Personality and Individual Differences 54(3): 447-452. Fisher, C. D., Minbashian, A., Beckmann, N. & Wood, R. E. (2013). Task appraisals, emotions, and performance goal orientation. Journal of Applied Psychology 98(2): 364-373. Beckmann, N., Wood, R.E., Minbashian, A. & Tabernero, C. (2012). Small group learning: Do group members' implicit theories of ability make a difference?. Learning and Individual Differences 22(5): 624-631. Wood, R.E., Beckmann, N. & Rossiter, J.R. (2011). Management humor: Asset or liability?. Organizational Psychology Review 1(4): 316-338. Beckmann, N., Wood, R.E. & Minbashian, A (2010). It depends how you look at it: On the relationship between neuroticism and conscientiousness at the within- and the between-person levels of analysis. Journal of Research in Personality 44(5): 593-601. Minbashian, A., Wood, R.E. & Beckmann, N. (2010). Task-contingent conscientiousness as a unit of personality at work. Journal of Applied Psychology 95(5): 793-806. Minbashian, A., Wood, R.E. & Beckmann, N. (2009). Contingent beliefs as predictors of within-person variation in conscientiousness at work. Academy of Management Proceedings 2009(1): 1-6. Beckmann, N., Beckmann, J.F. & Elliott, J.G. (2009). Self-confidence and performance goal orientation interactively predict performance in a reasoning test with accuracy feedback. Learning and Individual Differences 19(2): 277-282. Wood, R.E., Goodman, J.S., Beckmann, N. & Cook, A. (2008). Mediation testing in management research: A review and proposals. Organizational Research Methods 11(2): 270-295. Beckmann, N. & Wood, R.E. (2017). Dynamic personality science: Integrating between-person stability and within-person change. Frontiers Research Topic Ebooks. Beckmann, N., Minbashian, A. & Wood, R.E. (2011). Integrating the study of within- and between-person variability in personality at work. In Personality & Individual Differences: Theory, assessment & application. Boag, S. & Tiliopoulos, N. New York: Nova. Beckmann, N., Wood, R.E., Birney, D.P., Beckmann, J.F. & Minbashian, A. (2018), Contingent units of personality at work – A reconciliation of stability and change, 19th European Conference on Personality (ECP19). Zadar, Croatia. Birney, D.P. Beckmann, J.F. & Beckmann, N. (2017), Individual Differences in Success: Too soon to give up on intellect! ?, 16th Australian Conference on Personality and Individual Differences (ACPID). Sydney, Australia. Beckmann, N., Wood, R.E. & Minbashian, A. (2015), Task-contingent units of personality at work, European Association of Work and Organisational Psychology (EAWOP) Small Group Meeting (SGM) “Studying work as it is: Capturing dynamics in workplace relationships”. Vrije Universiteit Brussel, Belgium. Minbashian, A., Beckmann, N. & Wood, R.E. (2014), Emotional knowledge moderates affective mediation of task contingent conscientiousness, Symposium: Interplay of Stable Individual Differences and Mood, 29th Annual Meeting of the Society for Industrial and Organizational Psychology (SIOP, APA Division 14). Hawaii, USA, Hawaii HI. Tymms, P., Beckmann, N., Beckmann, J.F., Elliott, J. & Merell, C. (2013), Does schooling have an impact on short-term memory?, 15th Biennial Conference of the European Association for Learning and Instruction. Munich, Germany, European Association for Research on Learning and Instruction, Munich. Fisher, C., Minbashian, A., Wood, R.E. & Beckmann, N (2011), Appraisals, goal orientation, and emotions while working, Academy of Management Annual Meeting. San Antonio, Texas, USA, San Antonio TX. Bowman, D.B., Beckmann, N. & Birney, D.P. (2010), A matter of framing? Frame-of-reference effects in personality assessment, 27th International Congress of Applied Psychology (ICAP). Melbourne, Australia, Melbourne. Beckmann, N., Minbashian, A. & Wood, R.E. (2010), The lost individual: On the structure of personality at the within- and between-person levels of analysis, 27th International Congress of Applied Psychology (ICAP). Melbourne, Australia, Melbourne. Beckmann, N., Beckmann, J.F. & Elliott, J.G. (2009), Accuracy feedback in dynamic testing, European Association for Research on Learning and Instruction (EARLI). Amsterdam, The Netherlands, Amsterdam. Bowman, D.B. & Beckmann, N (2009), Frame-of-reference effects in the measurement of personality: Evidence from self- and peer ratings in a management sample, 8th Australian Conference on Personality and Individual Differences (ACPID). Sydney, Australia, Sydney. Beckmann, N., Wood, R.E. & Minbashian, A. (2009), It depends how you look at it – on the relationship between conscientiousness and neuroticism, 8th Australian Conference on Personality and Individual Differences (ACPID). Sydney, Australia, Sydney. Beckmann, N., Beckmann, J.F. & Elliott, J.G. (2008), Accuracy feedback in cognitive ability testing, Asia-Pacific Educational Research Association (APERA). Singapore. Minbashian, A., Beckmann, N & Wood, R.E. (2008), The effects of work-related situational cues on intra-individual variation in the emotional and motivational states of managers, 29th International Congress of Psychology (ICP). Berlin, Germany, Berlin.